The Triton Scuba Mask is not your typical scuba gear. It gives you the experience of being one with the sea. That’s right, that James Bond-inspired spy gadget we all want has been designed and it could revolutionize how we explore the deep seas. According to the Daily Mail, South Korean designer Jeabyun Yeon has brought to life a concept that would change how people venture into the deep oceans. 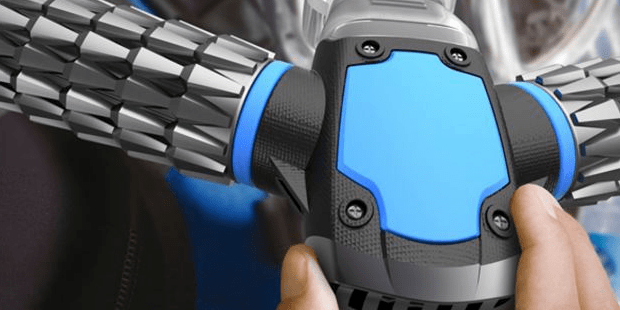 The Triton Scuba Mask is a device that is attached to a person’s mouth and it acts as a fish gill, extracting dissolved oxygen and transforming it into breathable air. The Triton Scuba Mask is fixed with a filtering system that would only allow the oxygen molecules to permeate, effectively separating other heavier particles and water itself, as Inhabitat mentioned. The person wearing the mask simply bites into the device and breathes as he or she normally would. The device then promotes proper breathing. It is powered by batteries that would hold 30 times as much energy as what normal batteries would have to really filter the air properly. The Huffington Post, however, takes note of certain issues that the Triton Scuba Mask would have. First of all, the amount of water filtered is a lot, about 24 gallons per minute. Without a pump readily available in the design, the water flow is seriously hampered. Another problem is oxygen poisoning. There’s a reason why our air is roughly 21% oxygen: having too much is not good for us. The pure oxygen that the mask would reel in can actually poison an individual, and this is very dangerous when scuba diving. The mask is a promising concept; and if fixes were implemented to solve the issues at hand, the Triton Scuba Mask could very well revolutionize how we handle undersea exploration. Here’s a video on how it works introduced by YouTuber Jonny Troche. Will the Triton Scuba Mask ever make it to production?